The relative distribution of these grants is shown graphically in figure 1. 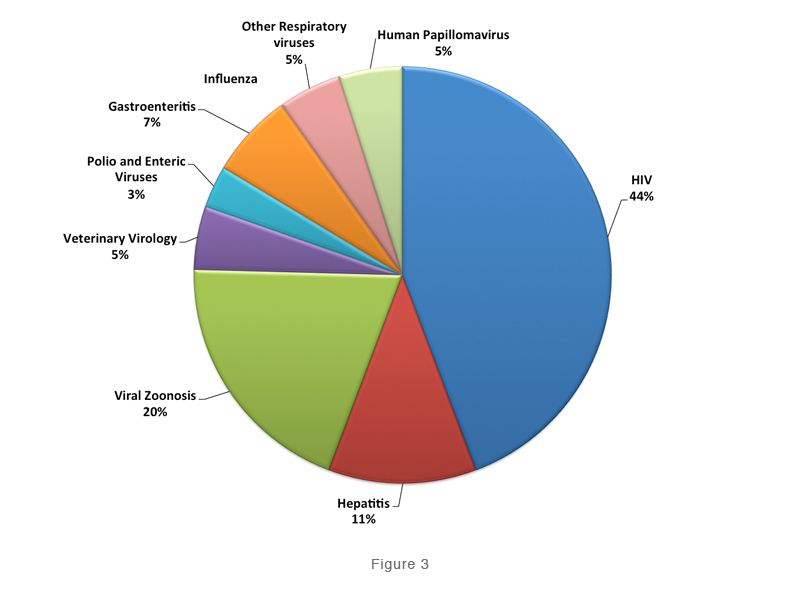 Some eleven universities and institutes, conducting research in virology, received funds from the foundation as shown in figure 2. 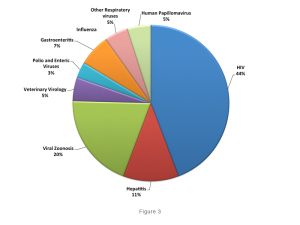 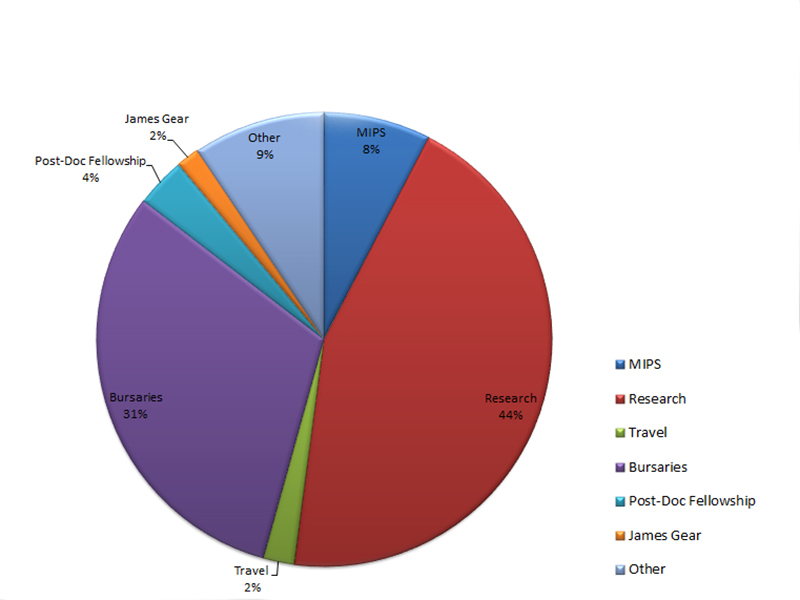 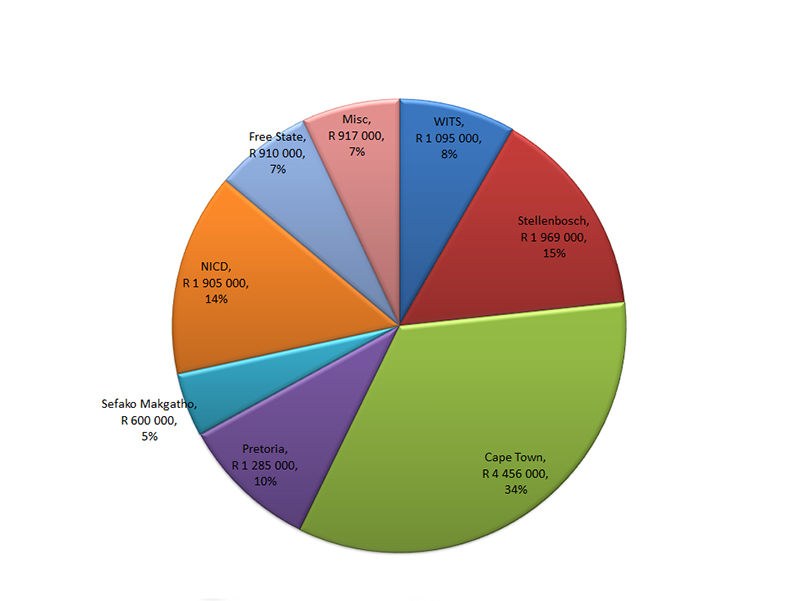 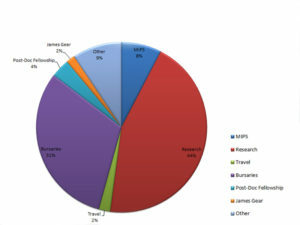 The distribution of research funds according to fields of virological research is shown in figure 3.